Nike and Carhartt WIP made waves awhile back with their work on the Eminem Air Jordan 4 Retro. The duo is back at it again and set to release a collab on a Nike staple, the Air Max 95. The iconic Air style will be remixed with signature materials from the WIP (work in progress) line from Carhartt. 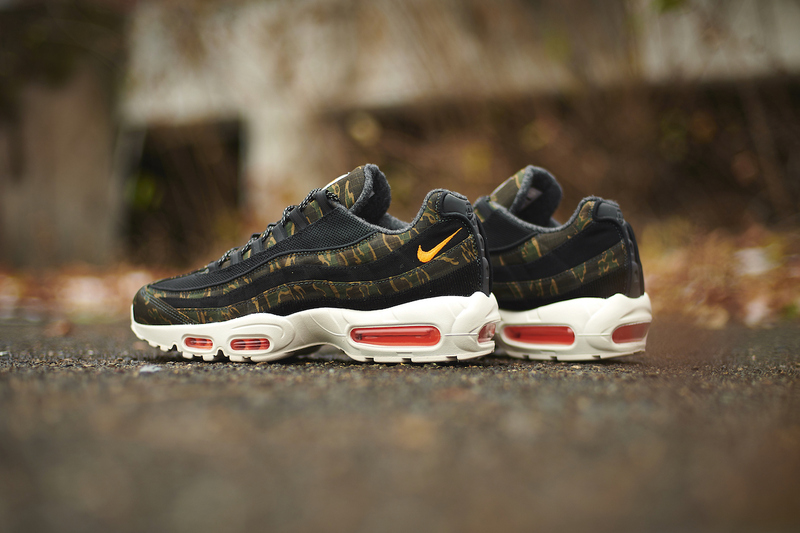 The Carhartt WIP x Nike Air Max 95 is highlighted by a bold camouflage upper, which pairs durable Dearborn Canvas with ripstop nylon. An off-white midsole houses the iconic Max Air unit and contrasts nicely against the standout upper. Reflective detailing throughout ensures you’ll be seen far and wide. 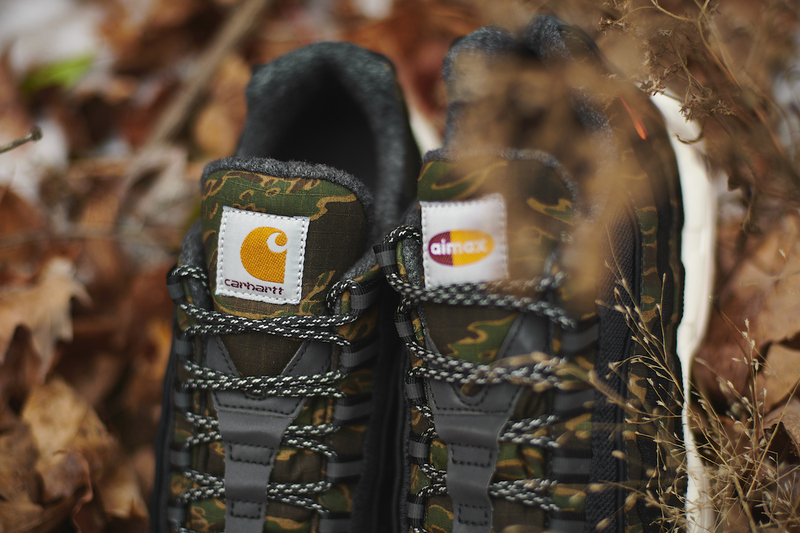 Orange accents and work boot style laces pop against the camo and complete this option. 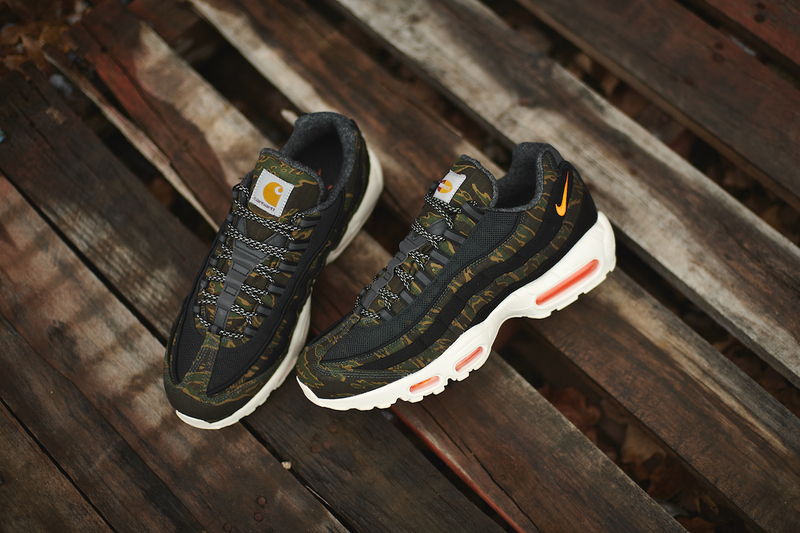 Grab the Carhartt WIP x Nike Air Max 95 on 12/6 from Finish Line.